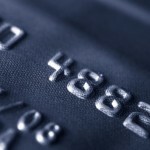 Can your Credit Card Lender Seize your assets? According to Creditcards.com, there are numerous credit card lenders that are using their agreements as authority to seize things you buy with your credit card if you do not pay your bill in full. 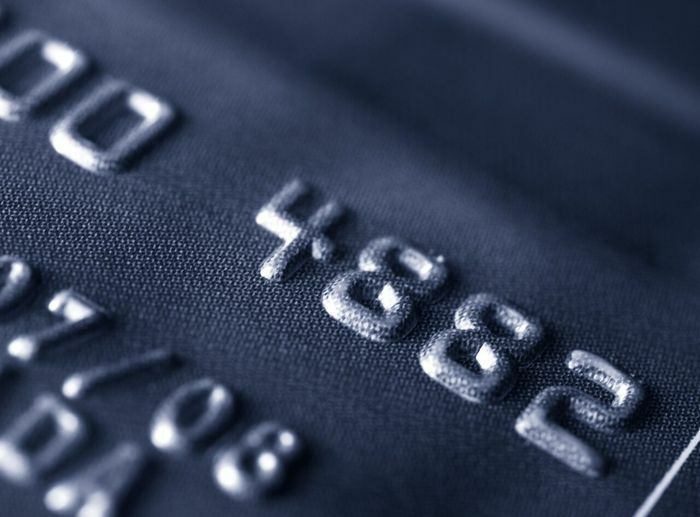 Typically, credit card debt is unsecured debt, which means that no assets were pledged as collateral to the lender. However, clauses that permit the lender to seize goods may alter this classification for credit card debt. Creditcards.com reports that in excess of 200 publicly filed card contracts have provisions that grant the lender a security interest in goods purchased by the holder of the credit card. Examples of this type of card included stores that were financially backed by Capital One, including Big Lots and Costco. If your credit card agreement contains a security interest clause, it could mean that the lender retains the right to seize purchased items even if you file a personal bankruptcy. This could be quite shocking since most consumers are not aware that their contract with their credit card lender contains this type of clause (or that they consented to it!). There has been a significant increase in popularity in credit cards that postpone interest payment for six months or more. It is important to understand, however, that these types of cards usually include contract language that charges the consumer all accumulated interest if a payment is missed. An estimated 70% of the credit card agreements use variable interest rates linked to the U.S. prime rate or to Europe’s LIBOR index. Credit card agreements are increasingly using mandatory arbitration clauses. This type of provision typically prevents the cardholder from filing lawsuits in court and/or creating a class action with other cardholders against the lender. How can this type of credit card agreement impact your bankruptcy filing? If your agreement includes a security interest clause, it is possible that certain goods usually exempted from the bankruptcy process are not protected. In other words, the lender may be allowed to seize those items even though you filed for bankruptcy. An individual purchases a mattress for $400 and the lender offers a financing option that includes no interest or payments for 36 months. The purchaser does not make any payments over the 36 months and the accrued interest and balance now due total $1100. The purchaser still does not make a payment and the lender starts collection efforts, including telephone calls threatening to seize the mattress. The purchaser contacts an attorney who calls the lender to negotiate by offering $50 to settle the debt as the mattress is now over three years old. The lender stops calling. To learn more about your credit card agreements or the benefits of filing a personal bankruptcy, call Faro & Crowder today! This entry was posted in Debt and tagged assets, collateral, credit card, lender, seize on August 13, 2015 by Michael Faro. Deciding whether to file for bankruptcy protection is a difficult decision. There are numerous factors that must be considered and it is important for you to understand all the pros and cons of a Chapter 7 or Chapter 13 case. Although no two cases are the same, below are a few things you should be aware of before filing your bankruptcy petition. The above is a very brief outline of the consequences of filing for bankruptcy protection. Let us review your individual circumstances and provide you with an honest assessment of how filing a Chapter 7 or Chapter 13 would impact you. The legal team at Faro & Crowder is ready to help. Our office is located in Melbourne, but we proudly serve individuals and businesses across the State of Florida. This entry was posted in Bankruptcy and tagged assets, bankruptcy, Chapter 13, Chapter 7, debt on June 4, 2015 by Michael Faro. What Paperwork is Required to File Chapter 7? 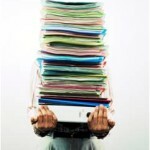 You may have heard that there is a lot of paperwork that is required to file for bankruptcy protection. The court requires all debtors to make complete financial disclosures in their pleadings. This means you must list all of your assets, debts, income and expenses. Your bankruptcy attorney at Faro & Crowder, PA, will assist you with preparing all of the necessary pleadings, but it is essential for you to provide us with all of your financial records. Some of the documents we need to see include tax returns, paycheck stubs, and bank statements. a certificate from your lawyer indicating that you have been provided (i) a notice describing the different types of bankruptcy, (ii) notification of the services offered by the credit counseling agencies, and (ii) a statement indicating that anyone who knowingly or fraudulently conceals property or makes a false statement under oath is subject to fine, imprisonment, or both. All of the above pleadings are together called your “Schedules and Statement of Financial Affairs.” It is important that you closely review your pleadings once they are completed to verify that they are true and correct. Remember, your bankruptcy paperwork is filed with the court under the penalty of perjury. If you are considering filing a Chapter 7 bankruptcy case, let us help. We can assist you with preparing your pleadings and walk you through your case step by step. Contact the skilled attorneys at Faro & Crowder to schedule a free consultation. This entry was posted in Bankruptcy, Chapter 7 and tagged assets, bankruptcy, Chapter 7, debts, petition on November 21, 2014 by Michael Faro. Married couples have a very important decision to make when filing for bankruptcy protection — should both spouses file or just one of them? There are many factors that must be considered in making this decision. One of the most cruical factors to consider is whether the majority of your debt is held jointly or in one spouse’s name. We will pull a credit report on both spouses and thoroughly investigate your debt. It is important to make sure we have a complete understanding of where you stand with your debt so you can truly obtain the relief you need. If one spouse holds the majority of the debt, it may be beneficial for only that spouse to file for bankruptcy. Remember, this will allow that spouse to discharge (eliminate) all of the debt held in his/her individual name, as well as his/her debt held jointly. It is important to understand that the non-filing spouse does not obtain personal debt relief from the bankruptcy. 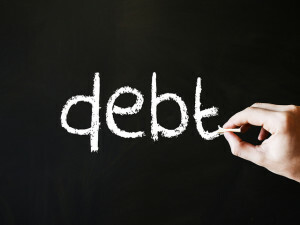 The non-filer remains accountable to pay his/her individual debt, as well as the remainder of the joint debt. In Florida, property purchased during the marriage is generally held as tenancy by the entireties, unless the property is titled, in which case it is held as titled. Property held as tenancy by the entireties is not subject to individual debts, only to joint debts, so where there are substantial marital assets but only one spouse is indebted, an unlimited amount of property may be exempt from seizure by the trustee. If you are attempting this it is crucial that you hire good counsel. Failure to list all of the marital property may be seen as an intent to defraud, so you need a confident attorney who is comfortable telling the trustee where everything is, and why they cannot take it. Bankruptcy law prevents debtor’s from transferring assets before filing their case in order to avoid the property from being included in the bankruptcy estate. This is referred to as a “fraudulent transfer.” The trustee investigates all transfers of assets made up to one year before the bankruptcy filing. Thus, you cannot transfer title your home or car to your non-filing spouse in order to keep it out of the bankruptcy filing. Married couples should discuss whether to file jointly or separately with a knowledgeable bankruptcy attorney. To learn more, call us to schedule a free consultation. This entry was posted in Bankruptcy, Chapter 13, Chapter 7 and tagged assets, bankruptcy, debt, individual, joint, Married, separate, transfers on August 5, 2014 by Michael Faro. File Divorce Before Bankruptcy or Vice Versa? Unfortunately, divorce and bankruptcy seem to go hand-in-hand. Financial stress is a leading contributor to many divorces. If you are facing this situation, you are likely wondering if you should file bankruptcy before you file for divorce or vice-versa. The answer depends on your unique situation. If you and your spouse are in a highly adversarial place in your relationship, it may be impossible for you to file a bankruptcy case before your divorce. A bankruptcy requires open communication and complete financial disclosures, so many couples are unable to move past their personal differences in order to work together in their bankruptcy filing. Also, if you suspect that your spouse is hiding assets, you should seek legal help to protect yourself. If, however, you and your spouse are amicable, you may want to consider filing bankruptcy before you divorce. It is important to understand that your divorce agreement will be binding on you and your spouse, but not upon your creditors. Thus, since most debts incurred during your marriage are joint debts (both spouses are liable to pay them), if your ex fails to pay a debt that he/she agreed to pay in the divorce settlement, you can still be held responsible by the creditor to pay the debt. Additionally, if your ex-spouse files for bankruptcy protection after the divorce and you do not, you may be held liable for all of the debt. A bankruptcy filing is binding on both spouses and upon all their creditors. It is one of the most comprehensive means for dealing with debt, which can make the divorce process more straightforward. Whatever your situation, it is wise to confer with an experienced lawyer and learn more about your available options. 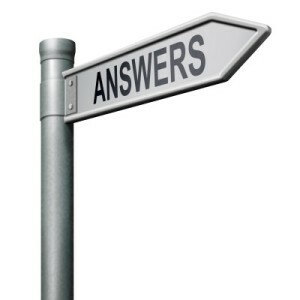 If you have questions regarding filing for bankruptcy protection, contact us for a free consultation. This entry was posted in Bankruptcy, Chapter 13, Chapter 7 and tagged assets, bankruptcy, debt, Divorce, spouse on July 22, 2014 by Michael Faro.